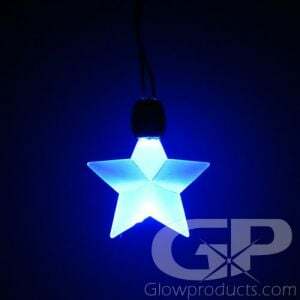 - Bright Blue Crystal Shaped LED Pendants! - Special Events! Concerts! Glow Parties! It's time to shine with Light Up Crystal Pendant Necklaces! 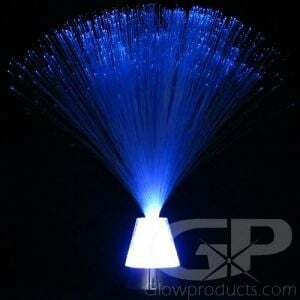 The Lighted Crystal Pendants are great for fundraisers, dances, office parties and more. The Clear Crystal Pendants glow a bright blue when activated to illuminate your entire evening, the batteries are already installed and all you have to do to light them up is bring the two ends of the necklace together (which is really easy because they're magnets). 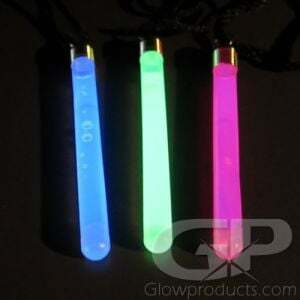 Fun, safe and easy to use, brighten up the Glow Party with the LED Crystal Pendant - so shine on you crazy diamond! Instructions: The Glow Pendant on/off switch is located on the connector at the back of the necklace. The connector has a magnet that holds the two ends of the cord together. Just join the ends of the necklace together to light up the pendant!